The company you work for has a big part in shaping you and your career. This is the reason why knowing them before you send your application is a must. We are giving you the opportunity to meet different companies in person. This May, we will bring job vacancies and employers to our Zurich Tech Job Fair. One of the companies who will join us is DXC.technology. 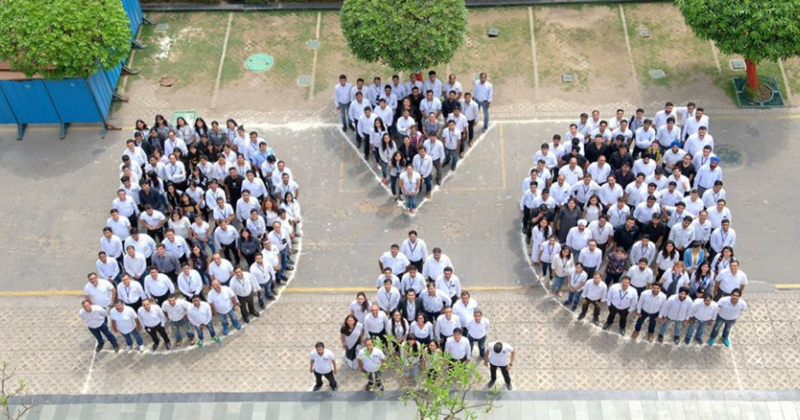 DXC.technology is the world's leading independent, end-to-end IT services company. They lead digital transformations for clients by modernizing and integrating their mainstream IT, and by deploying digital solutions at scale to produce better business outcomes. The company's CLEAR Values (Client focused, Leadership, Execution, Aspiration, Results) guide their instincts and inform their actions. The Questions and Answers below should give you enough information about DXC.technology as a company, their company culture, how they treat their employees and the benefits and perks you’ll get if you’ll work for them. Grab your free job seeker's tickets here! We are technology independent. Working with our global partner network, we deliver the best, most proven solutions to de-risk technology investments. Our clients are facing major disruptive changes. We’re meeting these challenges with highly talented people, an experienced hand and an independent view of technology solutions — so our clients can seize new opportunities and thrive on change. DXC Technology helps clients thrive on change. We have a clear and confident vision for navigating the future, and have met the challenges of innovation many times. We strive to support a culture of performance, matched with integrity. Our CLEAR Values guide our instincts and inform our actions (Client focused, Leadership, Execution excellence, Aspiration, Results). Our success is built on the trust we earned from clients. We work shoulder-to- shoulder with our clients to solve complex challenges in ways that minimize business risk and maximize opportunity. Our world-class talent becomes part of our clients’ teams, innovating with them and putting the right technology to work for their organizations. And we invest in building collaborative client relationships that flex and grow to help meet new challenges with confidence, speed and agility. Within DXC we have multiple teams that focus on supporting our clients in different areas. Our 9 offerings include Analytics, Application Services, Business Process Services, Cloud & Platform Services, Consulting, Enterprise & Cloud Applications, Industry Software & Solutions, Security, Workplace & Mobility. We build on the best of innovation, align with customer preferences and provide clarity for clients. We’re looking for innovative candidates who are eager to drive digital transformation and work on diverse and unique projects that offer the opportunity to take on responsibility and to gain new skills. People working with us are fast learners and the perfect candidate should enjoy working on their own with a high degree of independency. We value creativity and proactiveness in our candidates as we believe that every one of us may be a star and bring something new and exciting as a solution that would make a difference for our clients. Last but not least we believe that qualities such as boldness, critical thinking and communication skills are important and help us bring the best service to our partners and customers. We plan to grow and expand further and to remain a trusted partner for our clients. We want to continue supporting leading companies from various industries in transforming their business and in setting the digital agenda for future success. Our clients are facing major disruptive changes. We’re the ones that meet these challenges with highly talented people, an experienced hand and an independent view of technology solutions — so our clients can seize new opportunities and thrive on change. We want to help the unlock business value through this digital transformation. 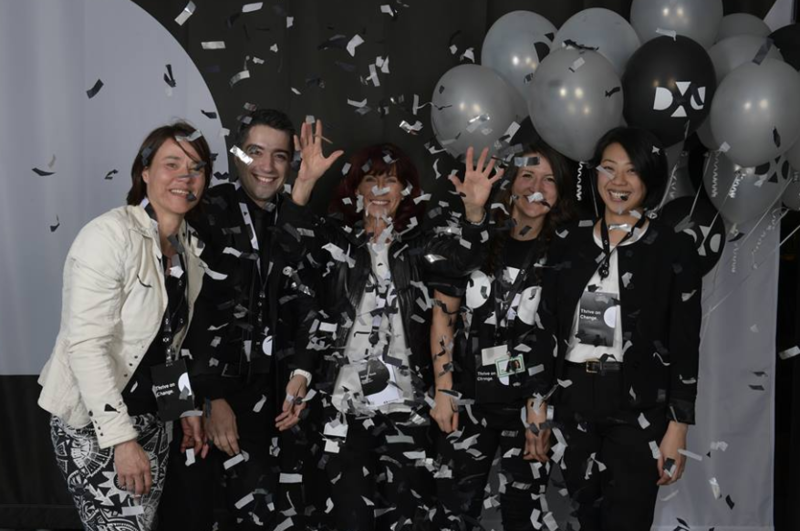 Meet the DXC Technology team at our Zurich Tech Job Fair and be part of their growing family. Check their website and follow them on Facebook and Twitter to get their latest updates. Hi, job seekers in Zurich! Are you tired of applying online? Well, your chance of making a great impression will happen this May because our Tech Job Fair will be held in the city of Zurich. This is your opportunity to meet your ideal employer, to be interviewed right away, and to have the possibility of getting hired straight away. 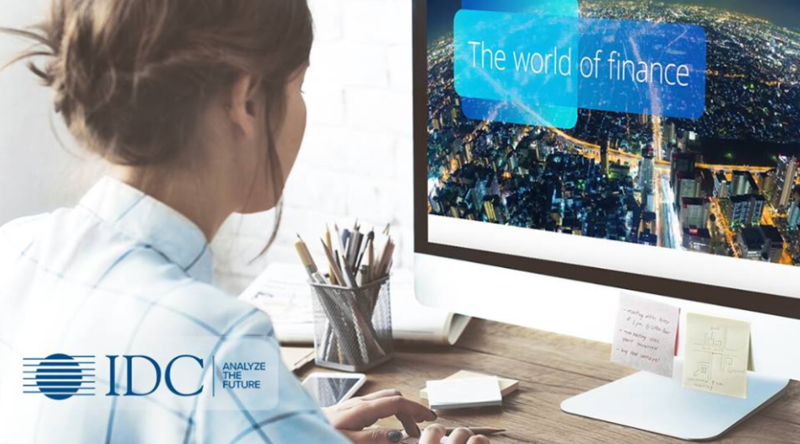 Today, we want to introduce you to Avaloq - the company that drives the digital transformation and automation of the financial services industry. Avaloq is a Fintech leader in digital banking and digital wealth management. We are leader in what we do and have become the world’s biggest provider of core banking SaaS and BPaaS outsourcing with a client base of more than 150 banks and wealth managers who trust in us, and with USD 4 trillion in assets managed with our software. Avaloq built a great digital user experience and created a tried-and-tested process that gets many clients up and running in as little as 90 days. We have pioneered SaaS delivery for our award-winning core banking software. The company works with clients, fintechs and outside developers in a uniquely open, collaborative way - this is our way to stimulate future innovation. We always look ahead and build on our flexible modular approach. Avaloq never fails to find ways of improving. Many of the leading banks choose Avaloq. Global giants like HSBC, Deutsche Bank and Barclays and specialized private banks like Edmond de Rothschild use our core banking software and services to be efficient and grow profitably. Avaloq has developed its own software and services from day one to best support wealth managers and private, commercial and retail banks from major companies to individual consumers. Our leaders have created a dynamic, informal team culture that’s truly unique. We are diverse, multicultural, collaborative, demanding and like to have fun. We are work in locally designed state-of-the-art offices with informal spaces where you can meet colleagues for a coffee, having an informal chat or a game of pool. Avaloq offers best-in-class banking outsourcing services with a team of more than 2,000 people from 66 different nationalities. We can pick up insights into our customers’ real needs that no other software developer can match. Avaloq operates its own systems in the service centres and develops uniquely powerful and flexible banking software. Our reputation for treating people well helps attract the brilliant, energetic individuals we need to be ahead of the game. Avaloq is organized in a flat, non-hierarchical way that makes the most of people’s talents and ideas and gives them real autonomy. Avaloq is all about great ideas – and knowing how to turn them into products and services. Working at Avaloq means different things to different people. This could be your chance to use state-of-the-art technology and agile development methodologies in an energetic, fast-moving environment. It could be an opportunity to help shape the future of banking. Are you thrilled about being part of a real, collaborative team that works hard, plays hard and knows how to get things done? Then Avaloq is surely a great company for you. Work with Avaloq and help us to shape the future of banking together. Prepare your CV now and meet your team in person at our Zurich Tech Job Fair. Learn more about Avaloq by visiting our website. Check also Facebook, Twitter and LinkedIn for updates. Don’t forget to grab your tickets here! On the 11th of April, we were joined again by the talent.io team – a bunch of creative people who design an innovative platform for all job-seeking developers, to share, connect and network at Amsterdam Tech Job Fair. Here’s who they are and why you should apply for their internal positions! This might get you interested in working for them, so be prepared for reserving your spot in meeting them face to face! Coding skills are currently some of the most needed and popular. Almost every company needs a skilled developer to take care of a variety of tasks. And yet, it’s not easy for employers to find the right developer – and vice versa! talent.io solves that problem in several clicks. The company, founded in 2015, created a smart and innovative platform that connects developers with employees. Their idea is based on simplicity and efficiency of the solution, saving time and effort for both parties. Joining talent.io means that you too will become a part of this market-changing solution. If you’ve ever wanted to do something that matters, this is your chance. Seek out employment in their Amsterdam team to make the difference for developers and employees alike! One of the most important things for talent.io is their flat company structure. Here, every person matters and everyone has an impact on the final product. Be heard out at talent.io. Your ideas, input, your creativity and willingness to step up will be noticed, appreciated and rewarded. You’ll be part of the team where each opinion is equally valued. Show them what you’ve got – from your very first day. Current employees at talent.io say that the company pushed them far forward on both personal and professional levels. Their company culture stimulates growth and encourages people to take ownership of their responsibilities. If you’re looking for a workplace to boost your career on all accounts, talent.io should be your destination. You will be encouraged to initiate, promote and complete projects which you find important and relevant. In the flat hierarchy, you are responsible for your own work, initiatives and management; the company pushes employees forward from the start. talent.io is changing the way developers find work, but they also change their employees lives! They are a dream workplace, with their collaborative and close-knit employees, who enjoy spending time together even after working hours. Become a part of their team – for your personal and professional growth. You still have the chance to meet talent.io’s recruitment team in our upcoming job fair this November. Grab the opportunity to be interviewed and be hired on the spot. Make sure to join our job fair by getting your tickets here. Follow talent.io on Facebook, Twitter and LinkedIn to get more updates about them. 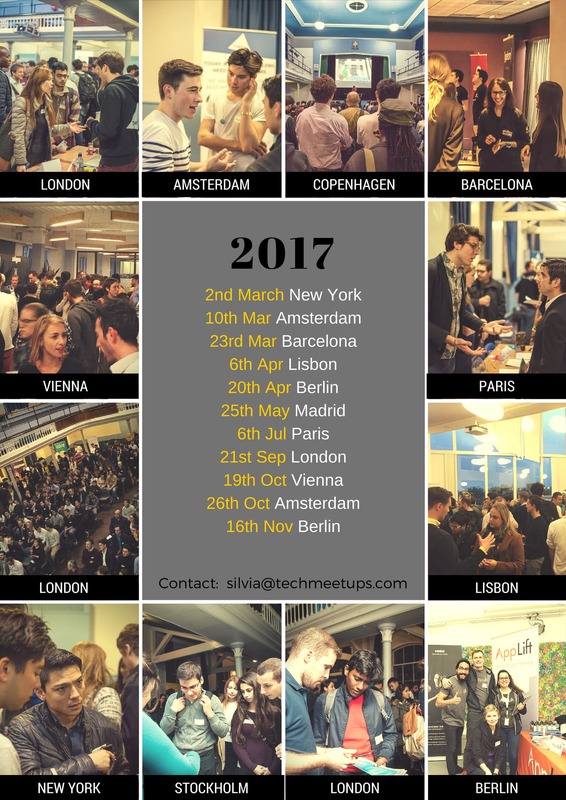 K2 is one of the companies that joined us in our Tech Job Fairs across multiple cities in Europe. Find out why they are one of the best workplaces you should consider working for. It all started in 1998 in Johannesburg, South Africa. Two young software developers came fresh from college with the vision of simplifying process automation and improving day-to-day business. Since then, K2 has become an award-winning business application software company with five locations and 500 employees around the world. K2's business applications and tools help people worldwide create successful solutions and increase mobility. More than 1.5 million users in over 84 countries, including 30 percent of the Fortune 100 list, use K2 to cut costs, minimize risk, and increase revenue. K2 has strong financial support, with over $ 150 million in recent investments. Are you interested in a career at K2? Here you will find everything you need to know about us: We work hard, like to celebrate and encourage our employees to grow beyond themselves. We are a fast growing company and there are countless opportunities to learn and grow with us. The K2 community is finding common ways to speed up and improve processes. We pull together when it comes to developing new business models and methods to become more successful. Benefit from the exchange of knowledge and experience. Which partner status is suitable for you? K2 Ascend offers different types of partnership - whether it's a tipster or a delivery partner. Each type of partner offers its own benefits and rewards. Find out more about our offers for partners now. K2 works with select software companies to create unique solutions to solve common business problems. K2 Technology Alliance Partners complement our platform with solutions that help customers make the most of their software investments. For more updates about K2, follow them on Facebook, Twitter and LinkedIn. Thank you to all the companies who joined our Barcelona Tech Job Fair last 4th of April! We want to especially express our gratitude to Haufe Group for making the event a success! If you failed to meet them during that event, learn more about them and find out if they are still hiring. Haufe Group is taking companies into the digital age. With competence, passion, and experience, they want to create the workplace of the future. Yes! You read it right. This company is working to create the workplace of the future. Keep reading as they explain how. Nobody knows what the future holds, but futurologist has a prediction on how human evolution will succeed. According to them, success will happen if big ideas are made bigger, and existing technologies are transported into the future. This involves catching flashes of insight and channeling them in the right direction. For 80 years, Haufe Group proved this theory right. Haufe Group is benefiting companies of all shapes and sizes. They are making complex things simpler through the use of their software, consulting and training solutions. They have over 1,950 employees worldwide and generating an annual sale of over €366M. The people at Haufe Group possess an inimitable combination of intuition, joy, and passion that keeps the company move forward. Their employees are smart - they think for unthinkable and do the impossible. There are still a lot of reasons why their people are the most important factor in the company. New strategies, integrated concepts, astounding solutions - these things are constantly in the mind of all of their employees. Together, they yield a never-ending stream of ideas. That’s how the company innovate! That’s how they shape the future. Haufe Group makes flexible working possible. In this company, work and private life fit together. Work-life balance has become a buzzword. Work should lead to self-affirmation rather an integral part of life. Your freedom to organize yourself here is one of the many benefits they can offer. Do you love new ideas? Find out if they are still hiring here. Get more info about them on their website. They are also on Facebook, LinkedIn, Twitter and Instagram. Find out below why their workplace stands out, what's their onboarding like, and other interesting facts about them. At last, we also organize a wide range of fun activities (Virtual Reality games, Paintball, carting, ...) to find a balance between work and fun. What can a new employee count on in your company? What's their onboarding like? What's your company structure? Do you have a hierarchy or prefer a flat model? How big are your teams, if you form any? Traveling for vacation is one of the best experiences we can create for ourselves. This is our chance to relax, grow and unwind. But, do you know who empowers the business processes of those tour operators who make your travel smooth, safe, fun, and memorable? It’s FareHarbor. They create powerful tools that help tour and activity operators run their business with ease and efficiency. FareHarbor is the most trusted software and resources for tours and activities, and they are joining us today at our Amsterdam Tech Job Fair. Join their team and build the future of the travel industry together. Continue reading to know the amazing benefits that are waiting for you. A team with the Aloha Spirit, We work hard and play hard. The experienced professionals in our ranks include the godfather of Kiteboarding, a former Olympic Athlete and over 500 avid adventurers. We’re a quickly growing company with a robust product that tens of thousands of people use to run their businesses every day and our external APIs are a key way in which we work with partners like Booking.com, Viator, TripAdvisor, VELTRA, and more, to help our clients expand their businesses. We are an international team working in small agile teams, where there is a lot of freedom to come up with your own ideas and run with it. People who are eager to learn whatever necessary to tackle problems head-on. Be passionate about getting things right. Also important is that you are comfortable with a fast-paced startup environment. 26 vacation days per year (based on 40 hours per week). FareHarbor is a quickly growing team that provides their clients more productive and profitable business through better software. They can't wait to have you. Meet them in person at our Amsterdam Tech Job Fair and have the chance to get your dream job. Check their website for more info! FareHarbor is going to our Tech Job Fair in Amsterdam today. For those of you who are job-seeking, this is an incredible opportunity to get your dream job! A FareHarbor veteran, Jess was one of the first people to join our Sales team in Needham, MA. Now the VP of Sales Operations in our Amsterdam office, she’s bringing the best of FareHarbor to our friends in Europe. If you partner with FareHarbor, it’s likely Jess has been involved in your go-live in one way or the other. Let’s get to know her! You just moved to Europe! What’s been your top place to visit so far? Well, Amsterdam has been amazing. One morning, I woke up at 5am and biked to the I Amsterdam sign before the crowds got there. I watched the sunrise and took some cool pictures of the sign and the Rijksmuseum. I’ve also had some fun trips to other cool cities in the Netherlands. Outside of the Netherlands, I went to Stavanger, Norway for a long weekend and did some awesome hikes. It is so beautiful there, I cannot wait to go back! What do you miss most about the Boston area? Besides all of the rippers in our Needham office and my family and friends, the Red Sox have had an incredible season, and I used to be able to make it to quite a few games at Fenway as I’ve always lived so close to the city. I think I’ll miss the enthusiasm in the Boston area during all games (baseball, hockey, football, etc) the most. What’s next on your tour/activity bucket list? My dad has a work trip in London in a few weeks so he is coming a weekend early. We are meeting in Scotland and hiking the Cairngorms 4000s loop. 21 miles total! And we will hit 5 of the highest peaks in Scotland. I have a long bucket list though, and as the list of companies that we partner with in the EU grows, that list gets longer and longer! We have been out with a few of our local clients already including Flagship Cruises and Walks of Europe. We had an amazing time. And when we all first arrived, we immediately got bikes from one of our first live EU companies – Mike’s Bike Tours! What’s been the most surprising difference about life in Amsterdam? The same day that I got on the plane to Amsterdam, I sold my car. I knew that things would be different without it, but I have been pleasantly surprised! We are able to bike everywhere and transportation is super easy, even to surrounding towns and internationally. I thought that I would miss the freedom that a car can but things have been smooth sailing! You’ve been at FareHarbor for a while. What about this place makes you want to stick around? The people! I get excited coming to work every single day. What’s even cooler is that our Amsterdam office is bringing together employees from our Boston, Denver and soon, San Francisco offices. Even though some employees had not met in person before, it felt as if we were one big family right off of the bat. As we start to welcome our first EU hires, everyone just fits right in. Being around so many awesome people with different backgrounds and the same big picture goals makes it a lot of fun to come to work each day. Not to mention that we work with the coolest clients ever and have the industry-leading product… I could go on and on! Describe your job at FareHarbor in three words. Please don’t forget, FareHarbor is at our Tech Job Fair in Amsterdam today! Please bring your CVs and your best smile! This could be the event that changes your future for the better! You can get their latest updates from: Facebook, Twitter, and Instagram. The Lucidchart team is passionate about building a powerful visual workspace that helps businesses gain actionable insights and make better decisions faster—and they want you to help them realize that vision. We are excited to have Lucidchart participate in our Amsterdam Tech Job Fair today. Come meet them in person to create a lasting impression. Since its creation in 2010, Lucidchart has allowed teams to work visually and collaborate in real time with their intuitive diagramming solution. They want working visually to be easy and essential for everyone, and their goal is to become one of the great software companies of the world. As part of this effort, Lucidchart offers these outstanding benefits when you become part of their team. Lucidchart is committed to creating an environment where everyone feels equally respected and valued. Their focus is on finding individuals who share the same core values as Lucidchart, while also celebrating a diverse and inclusive work culture. They honor and support varying backgrounds, beliefs and perspectives for the benefit of the business, including the employees and product. When you come to work with them, they want you to be you. Why? Because when their employees bring to the table the qualities that make them unique—different backgrounds, personalities and perspectives—they are stronger. Lucidchart looks for individuals who are unafraid to try unconventional methods of solving problems. They look for individuals who are proactive rather than reactive, people who can create solutions. They also look for individuals who are willing to put the team’s success above their own. Your personality, passion, motivation and unique talent are what Lucidchart needs to continue in their success. They want you to become part of their family. Are you ready to build your bright future? Meet the team at our Amsterdam Tech Job Fair! Visit their website for more information. Follow them on Facebook, Twitter and LinkedIn to get their latest updates. Click here and sign up! See you all soon in Amsterdam. Our Barcelona Tech Job Fair is done, but the opportunities are extended! After our event in Barcelona where eDreams ODIGEO were with us, they are still hiring and giving you opportunities to join their team. The position of the company as one of the world’s largest online travel agencies offers them the strength needed in order to experiment and further expand. Yet, despite their size and success, they have become a more lean and agile company than ever before; a company where everyone has the opportunity to make a huge impact, both on business and on the travel industry as a whole. eDreams ODIGEO is constantly transforming their ways of working as well as the products they offer to customers. They use a huge wealth of data and consumer insight to develop products that directly benefit their customers. From designing new mobile features to safer ways of booking online, their customer-centric approach is applied to everything they do and create. This company is one of the world's largest online travel companies and one of the largest European e-commerce businesses. Under its four leading online travel agency brands – eDreams, GO Voyages, Opodo, Travellink, and the metasearch engine Liligo – it offers the best deals in regular flights, low-cost airlines, hotels, cruises, car rental, dynamic packages, holiday packages and travel insurance to make travel easier, more accessible and better value for the more than 18.5 million customers it serves across 43 markets. They are also listed in the Spanish Stock Market. Work hard, celebrate successes! In eDreams ODIGEO, they recognise that work-life balance and a healthy lifestyle are essential. They encourage you to take part in social activities with colleagues. They also have a team who arrange team events in their various locations. They need people like you to help them provide the best possible experience for customers. So, join them and make a difference in shaping the way people travel today and tomorrow. They are composed of 68 nationalities so diversity is one of the secrets of their success! Excellent environment for continuous growth and learning: with our Learning & Development programs, you will have access to tech talks, internal soft skills and technical skills trainings, language lessons, external events and industry conferences. Free subscription of Safari Online Learning. A phenomenal lifestyle and work-life-balance (e.g. half-day Fridays, team building activities, flexible hours, 24 days of holiday +2 extra days off, etc.). A special employee travel discount program with eDreams. Competitive salaries & flexible benefits scheme. Special discounts in local venues, such as gyms, restaurants, shops, etc. New to the city? We also offer great relocation packages. Amazing offices in the heart of Barcelona with a beautiful terrace to have a break and enjoy the views. Annual awards for a variety of team and individual achievements. Check their Job Openings now and apply. Follow them on Linkedin, Twitter and keep an eye out on their careers site & their website for latest updates. We still have many upcoming Tech Job Fairs. Check details here and join us! A good change comes with a good start. Our lives are full of decisions and each decision we chose to have has a consequence. Nothing in life comes easy but, the power to make things easy are in our hands. Now, we want to share that our Berlin Tech Job Fair is soon to happen and you, joining us, might be the best decision you’ll be making today! In this event, not just one or two, but a lot of companies, are seeking for talented people to join their team, and one of them is American Express, and just like us, they also want to make a difference. Since 1850, American Express has worked to make a difference in their customers' lives in ways that matter most to them. Their vision is to provide the world's best customer experience every day as they want to provide differentiated products and services to their customers to help them achieve their aspirations. Since their earliest days, they have strived to find new ways to enrich their customers' lives, have their backs and provide a special brand of service, in ways both big and small. They promise to understand, respect, and back their customers and help them on their personal journeys. Helping you excel at your career is their job too. You will have access to world-class leadership and learning experiences when you join their team. They will also give you the opportunity to create a unique career journey shaped by your talent and curiosity, and the ability to engage with leaders and coworkers who will help you excel in all you do. Time is approaching fast, and choosing your path is one of the most meaningful choices in your life. Your chance to discuss with their team is happening soon. Make sure to plan your schedule and join us at our Berlin Tech Job Fair. Build your career with American Express. Learn, grow, and develop your talent with the team. More details are available on their Website. Follow them also on Facebook, Twitter and Instagram to see the latest happenings within their company. ZOI stands for Zero One Infinity. The essence of IT and our driving force. We are an interdisciplinary, diverse and internationally active team. Drawing on different backgrounds, we’re full of new ideas, technological curiosity and know-how. For us, diversity also reflects how we shape the nature of our work, with lots of passion and novel ways of approaching challenges. It captures the way we bring together the very best of enterprise IT and cloud computing, in all its compelling variety. Zero One Infinity means looking at more than 0 and 1. So at Zoi we look at yes and no plus the extraordinary and endless choices in between. At Zoi we care about you, your talents, and how they integrate with the team (and the way your work makes you smile). We’re continuously looking for tech nerds, e.g. full stack, frontend and backend developers, software engineers, devops engineers as well as data scientists to join us in Stuttgart, Berlin and Lisbon. What do you do to make your work place stand out? 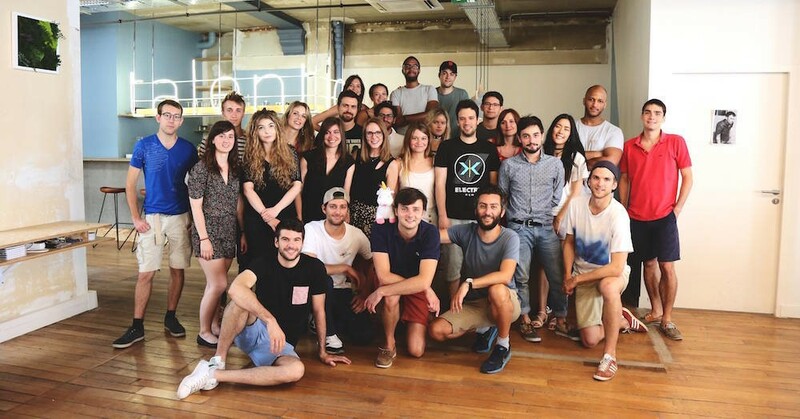 At Zoi, we have a very diverse and international team with so far 16 nationalities represented. Our team culture is very strong with strong personal connections and flat hierarchies. Our colleagues get a lot of room and possibilities for their individual career development, also beyond client projects. For this purpose, we offer 20% of the work time for individual development, e.g. in new technologies or methodologies. In addition, we have topic communities such as a Dev Community and Data Standups to discuss topics and challenges with your peers. Furthermore, we have a flexible office culture with flexible working hours and the possibility to take home office days. We organize regular team meetups where all our colleagues come together from all our locations (at the moment Stuttgart, Berlin and Lisbon) to discuss the status of and potential challenges in our projects. This is a great opportunity to spend time with colleagues you don’t work with directly in projects. We usually go for lunch together with our colleagues and we have a regular Friday Lunch every week which is sponsored by Zoi to foster interpersonal exchange and just spending quality time together. We also organize a of lot team events like Lasertag, Beach Volleyball, going to the movies etc. In addition to our Christmas and summer party, we go on a skiing trip once a year with the whole team to have fun in the snow. Every new colleague is going through a structured Onboarding Week to get to know all focus areas of Zoi and the Zoi team. In addition, we have a 1-on-1 Mentor Program for each new employee. They pair up with an experienced colleague to learn all the in-and-outs of the company. The project onboarding is individually conducted and adapted by the respective team. We have truly flat hierarchies with an open door policy and regular peer feedback sessions. Our common team size is between 3-6 team members with usually one project manager, depending on the size and requirements of the client project.